Maybe you're like me. I grew up in a church where the word "doctrine" was not a very positive word. Doctrines were things that people believed instead of believing in the Bible. So, when I first began to learn that systematic theology focused on this doctrine and that doctrine, I recoiled. Why would any follower of Christ want to learn doctrines instead of the Bible? But in traditional systematic theology, doctrines are not substitutes for the Bible. Rather, they are simply ways to summarize what we sincerely believe the Bible teaches. And as such, sound doctrines have a very important place in Christian theology. This is the fourth lesson in our series Building Systematic Theology . We have entitled this lesson "Doctrines in Systematics" because we will look at the ways constructing a systematic theology involves the formation of doctrines or teachings on many different subjects. Our lesson will divide into three main parts. We will begin with a general orientation toward doctrines in systematics. What are they? What place do they hold in systematic theology? Second, we will explore the formation of doctrines. How do theologians create their doctrinal discussions? And third, we will explore the values and dangers of doctrines in systematic theology. What advantages and disadvantages do they present to us? Let's begin with a general orientation to our subject. Our orientation toward doctrines in systematics will touch on four issues. First, we will provide a definition of what we mean. Second, we will focus on the legitimacy of creating doctrines. Third, we will turn to the goals of doctrines in systematics. And fourth, we will describe the place doctrines hold in systematic theology. 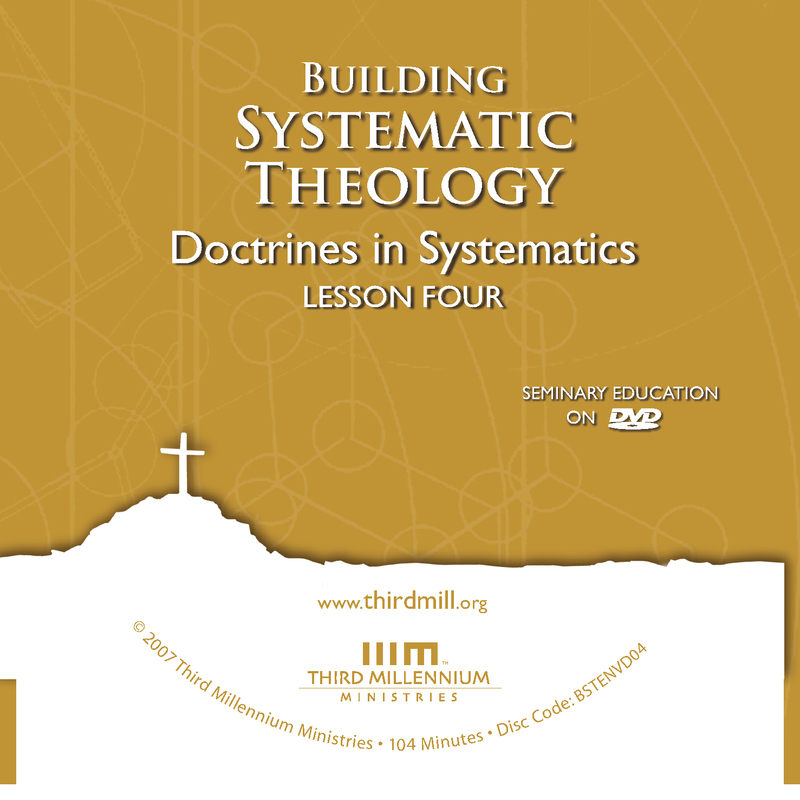 Let's look first at what we mean by doctrines in systematics. A doctrine is a synthesis and explanation of biblical teachings on a theological topic. This definition points to three major dimensions of what we will mean in this lesson when we speak of doctrines. First, doctrines concern theological topics; second, they synthesize biblical teachings; and third, they explain biblical teachings. Let's unpack each dimension of our definition, beginning with the ways doctrinal statements focus on theological topics, then moving to the fact that they synthesize biblical teachings, and then to the fact that they explain the teachings of Scripture. We should all realize by now that theology is a vast field of study with countless topics. It is so expansive that it may be compared to the vast stretches of the night sky. The sheer size and complexity of theology often tempts us to deal with it in a haphazard, random manner. Yet, just as astronomers find it helpful to divide the night sky into regions to study it, systematic theologians have found it useful to divide theology into various topics. We have seen in this series that from the medieval period there has been a strong tendency for systematic theology to divide into five or six main regions: bibliology, which focuses on the Bible; theology proper, which gives attention to God himself; anthropology, a concern with theological perspectives on humanity; soteriology, the topic of salvation; ecclesiology, a focus on the church; and eschatology, the subject of last things. In this lesson, the term "doctrine" includes a statement or explanation related to any of these very broad topics. But as we know, these and other larger categories of doctrines also divide into smaller and smaller topics. Take for instance, theology proper. One aspect of theology proper is the doctrine of Christology. It covers both the person and work of Christ. And Christ's person divides into both his human and divine natures. And his human nature includes both his body and his soul, and so on and so on. Every major doctrine in systematic theology divides into smaller and smaller topics. Now for the most part, in this lesson we will tend to use the term "doctrine" to refer to discussions of topics in systematic theology that are fairly substantial in size. But we must remain flexible knowing that any level of theology, no matter how small, involves some measure of doctrinal discussion. In addition to focusing on theological topics, doctrinal discussions in systematic theology synthesize biblical teachings by relating them to each other. In an earlier lesson we compared systematics to a tree. A tree grows out of the ground, but it looks very different from the soil out of which it grows. In a similar way, doctrinal discussions in systematics grow out of Scripture, but they also look very different from the Scriptures. One of the main reasons doctrines look different from the Bible is that they are synthetic. Rather than focusing on just one passage at a time, doctrines normally express the teachings of many Scriptures. Notice how this historical expression of Christian beliefs compares to the Bible. In a word, the creed looks very different from the Bible. Nowhere does Scripture include this exact wording. It doesn't even sum up Christian beliefs with this list of ideas, or gather these various themes together in one place. No single verse or set of verses in the Bible contains all of these teachings. Yet, all of these teachings can be found in various places in the Bible. The Apostles' Creed synthesizes these beliefs together as a doctrinal summary of what we believe as Christians. A third facet of our definition is that doctrines explain what the Bible teaches about a topic. These explanations can be as simple as collating information into theological propositions, or as involved as an exhaustive defense of a complex theological teaching. It helps to think of the explanatory quality of doctrinal discussions as falling along a continuum. At one end, we have simple statements of biblical teaching with very little explanation. In the middle range we find those discussions that have moderate levels of explanation. And at the other end of the spectrum, some doctrinal discussions offer extensive explanations. Let's consider an example of a doctrinal statement that says very little about a topic. The Apostles' Creed represents such an extreme as it provides almost no explanations. For example, the only things it says about God the Father is that he is almighty, and that he is the maker of heaven and earth. These qualifications explain a little of what it means to believe in the Father, but they don't say much. The creed says a little more about the Son. But with regard to the Holy Spirit, the Apostles' Creed merely says, "I believe in the Holy Spirit," and that "Christ was conceived by the Holy Spirit," but nothing more. Quite often doctrines are stated in these simple ways. Such simple statements have many positive uses in the life of the church, but they are not the only way doctrines appear. Toward the center of the spectrum are discussions of doctrines that include moderate levels of explanation. For example, most Protestant catechisms and confessions handle theological topics in this way. What do you believe when you say, "I believe in God the Father almighty, creator of heaven and earth"? That the eternal Father of our Lord Jesus Christ, who out of nothing created heaven and earth and everything in them, who still upholds and rules them by his eternal counsel and providence, is my God and Father because of Christ his son. I trust him so much that I do not doubt that he will provide whatever I need for body and soul, and he will turn to my good whatever adversity he sends me in this sad world. He is able to do this because he is almighty God; he desires to do this because he is a faithful Father. This explanation of what it means to believe in the Father is much fuller than the single sentence we find in the Apostles' Creed . Now on the other end of the spectrum are those doctrinal discussions that include extensive explanations. Very often these more elaborate explanations also present extensive evidences for theological viewpoints, arguing for this or that point of view. For the most part, formal writings in systematic theology fall into this category. Thoroughgoing systematic theologies often incorporate everything found in creeds, catechisms and confessions, and then add volumes of explanatory material. For instance, whereas the Apostles' Creed devotes only a few lines to the doctrine of Trinity, and the Heidelberg Catechism devotes 31 questions and answers to it, Charles Hodge in his Systematic Theology dedicates four chapters to the doctrine, and these chapters span over 200 pages. Extensive explanations of doctrines are characteristic of formal systematic theologies. So, as we approach the subject of doctrines in systematic theology, we need to realize that we are dealing with various levels of explanation; doctrines explain biblical teachings on theological topics to different degrees. Now that we have seen what we mean when we speak of doctrines in systematic theology, we should turn to the second concern of our orientation to this topic. How can we justify creating doctrines? Why do theologians think it is legitimate to synthesize and explain biblical teachings in these ways? These are important questions because so many Christian churches resist affirming doctrines. Maybe you've heard the slogans, "No creed but Christ." "We want no doctrine but the Bible." Now, we can appreciate the motives behind these sentiments because they usually reflect a very high view of Scripture. So, why can't systematic theologians just leave the teachings of the Bible as they are? Why do they divide the teachings of Scripture into topics, and synthesize and explain what the Scriptures say about those topics? One of the most compelling cases in favor of creating doctrines is that biblical figures model this practice for us. We will touch on just two examples of biblical figures discussing doctrines. First, we'll look at the example of Jesus, and second, at the example of the apostle Paul. Let's look first at a time when Jesus gave us a topical syntheses and explanation of biblical teachings. One of [the Pharisees], an expert in the law, tested [Jesus] with this question: "Teacher, which is the greatest commandment in the Law?" Jesus replied: "'Love the Lord your God with all your heart and with all your soul and with all your mind.' This is the first and greatest commandment. And the second is like it: 'Love your neighbor as yourself.' All the Law and the Prophets hang on these two commandments" (Matthew 22:35-40). As we will see, what Jesus did here has all the elements of our definition of a theological doctrine. First, this passage focuses on a theological topic. A Pharisee approached Jesus with a question. "Lord, what is the greatest commandment?" This question rose out of the ways theologians in Jesus' day had mapped their theological concerns. There is no Old Testament book, chapter, paragraph, or even a verse that directly addresses this question. So, in effect, the Pharisee raised a theological topic that was very similar to the kinds of topics we find in systematic theology. Second, Jesus responded by synthesizing two biblical passages. He did not simply quote a single biblical passage and leave it at that. Instead, he brought together two verses from the Old Testament: Deuteronomy 6:5 and Leviticus 19:18. On the one hand, he quoted Deuteronomy 6:5 when he said, "Love the Lord your God with all your heart and with all your soul and with all your mind." And he quoted Leviticus 19:18 when he said, "Love your neighbor as yourself." Like systematic theologians, Jesus synthesized various biblical passages into a doctrinal discussion about the greatest commandment. Third, Jesus gave an explanation of his viewpoints on this topic. He explained the priorities of these commandments when he said, "This is the first and greatest commandment. And the second is like it." And finally, Jesus explained the importance of the commands with his closing theological comment, "All the Law and the Prophets hang on these two commandments." Jesus' example affirms the legitimacy of forming doctrines in systematic theology. Had Jesus felt negatively about doctrines, he might have asked the Pharisee, "Why are you trying to come up with doctrines? You should be satisfied with what the Scriptures say." But instead, Jesus engaged in a doctrinal discussion. Having seen one of the many times when Jesus engaged in doctrines, we should see that the apostle Paul did the same thing. Paul wrote many letters to Christians throughout the Mediterranean world, and he primarily addressed practical, pastoral issues. But he frequently approached these pastoral issues by giving attention to theological doctrines. Let's look at the way Paul did this in one portion of the book of Romans. As he dealt with the pastoral issue of conflicts between Jews and Gentiles in the church at Rome, Paul created a rather elaborate doctrinal presentation. One well-known example appears in Romans 4:1-25. Now there are countless things that could be said about this passage, but we will simply point out how this passage reflects the three elements of our definition of theological doctrines. It concentrates on a topic, it synthesizes many biblical passages and it explains them. In the first place, Paul focused on a topic: Justification by faith in the Old Testament. Do we, then, nullify the law by this faith? (Romans 3:31). This question set the stage for Paul to express his views on the topic of Romans 4 … justification by faith in the Old Testament. There is no Old Testament book, chapter, paragraph or even verse that directly explains this issue. Rather, it was a theological topic of interest to Paul. In addition to being a theological topic, Romans 4:1-25 fits our definition of a doctrinal discussion because Paul addressed this issue by synthesizing the teachings of a number of biblical passages. A quick glance at this chapter reveals that he appealed to the Old Testament no less than seven times. In verse 3, Paul quoted Genesis 15:6. In verse 6, Paul appealed to Psalm 32:1-2. In verse 10, he compared Genesis 15 and Genesis 17. In verses 16 and 17, Paul quoted Genesis 17:5. In verse 18, he quoted Genesis 15:5. In verse 19, the apostle alluded to Genesis 17:17 and 18:11. And finally, in verses 23-24, Paul quoted Genesis 15:6 once again. Simply noting that Paul referred this many times to verses from the Old Testament shows us that he was synthesizing biblical passages to construct his doctrine. In the third place, as our definition of doctrinal discussions suggests, Paul explained his viewpoints on this subject. His overall doctrinal assertion was that justification by faith is confirmed by Old Testament law. He explained his view in a number of ways. First, Genesis 15:6 says that Abraham's faith was "credited" to him as righteousness, and Paul explained that something "credited" is not earned by good works. Paul also explained that David confirmed this idea by using the term "credited" in the same way in Psalm 32:1-2. The apostle went on to show that justification was by faith apart from the law because Abraham was counted righteous in Genesis 15 before he was circumcised in Genesis 17. Further, Paul made the point that in Genesis 17:5 Abraham was promised that he would be the father of Jews and Gentiles, those who had the law and those who did not. In fact, as he pointed out Genesis 15:5 indicates that Abraham's only hope was to have faith in God's promise because he had no child. And as Genesis 17:17 and 18:11 show, faith was continually required of Abraham because both he and his wife were too old to have children by normal means. Finally, Paul concluded that Genesis 15:6 is more than a mere historical statement about Abraham; it is a lesson about the centrality of faith for Christian believers. In short, we see that, like Jesus, Paul involved himself in doctrinal discussions. He synthesized and explained biblical teachings on theological topics. In addition to understanding our definition of a doctrine and the legitimacy of doctrinal discussions, it's very important that we also grasp the goals of doctrines in systematics. To understand how systematicians form their doctrines, it is essential to see that two goals govern doctrinal discussions. On the one hand, doctrines are shaped by a positive goal of establishing true teachings … what followers of Christ ought to believe. But on the other hand, they are also shaped by a negative goal of opposing false doctrines. Both of these goals deeply influence the character of doctrines in systematics. So, let's take a look at both of them, beginning first with the positive goal of forming true doctrines. As we've seen sound systematic theologians have a keen desire to follow the teachings of Scripture. A concern for expressing the truth leads systematicians to follow the Scriptures as the supreme judge of truth. But there is a problem that systematicians face. The Bible presents so many interconnected teachings on so many topics that systematicians would be overwhelmed if they only had the Bible to guide them. Consider, for instance, how much the Bible teaches about Christology, the doctrine of Christ. In many respects, the entire Bible talks about Christ either directly or indirectly. It represents a vast storehouse of information about him. And if systematicians were to try to say every true thing the Bible says about the doctrine of Christ, they would never be able to put down their pens. How then do systematicians determine what portions of the Bible they will include or exclude? The positive direction of systematics is guided not only by the Scriptures, but also by traditional Christian emphases and priorities. In many respects, systematicians determine which issues to address by looking at what faithful Christians have done in the past. The efforts of individual leading theologians, creeds, confessions and the like have a major effect on the shape of doctrinal discussions in systematic theology. Now as important as the positive goal of systematics may be for shaping doctrines, systematicians also determine the content and emphases of their doctrines according to a negative goal. By this we mean that one of the main purposes of doctrinal discussions has been to counter false teachings. This negative goal also derives from Scripture. In fact, a great portion of the Bible is devoted to opposing false teaching. The theology of Scripture is constantly two-sided, giving attention both to positive presentations of doctrines, and to negative opposition to false teaching. So, when systematicians pick and choose what they will include or exclude, emphasize or marginalize, many of their decisions are influenced by a desire to correct false doctrines. In addition to opposing falsehoods because Scriptures do, systematicians also adopt this negative goal because they seek to follow traditional Christian emphases and priorities. [Christ is] truly God and truly man … recognized in two natures, without confusion, without change, without division, without separation; the distinction of natures being in no way annulled by the union, but rather the characteristics of each being preserved and coming together to form one person and subsistence, not as parted or separated into two persons. Now in one sense this statement is guided by the positive goal of being true to Scripture and to expressing what faithful Christians had already believed. That is clear enough. But look again at what the Creed says about Christ. Of all the things that could be said about Christ, why did Chalcedon go into specifics of how the two natures maintain their divine and human attributes? Why did it say that these natures are not confused, that they do not change, that they cannot be divided, that they cannot be separated? Why did it stress that Christ's two natures are united in one person? These issues are not emphasized in Scripture. But this is precisely why the creed had to deal with them. In fact, the particular emphases of Chalcedon developed largely in response to false teachings about Christ that had risen in the early centuries of Christianity. Some of these false teachings denied the full humanity of Christ, others denied his full divinity, and still others denied that he was only one person. It is the clear doctrine of the Scriptures that God can be known. This does not mean that we can know all that is true concerning God. [We should not believe] that we can form a mental image of God. [We should not believe] that [God] can be comprehended (or known exhaustively). Following these negative rebuttals of false views, Hodge returned to explaining positively the ways God can be known. What Hodge did here is very typical of systematic theology. So, we see that the goals of doctrinal discussions are shaped by at least two main desires: the desire to express the truth, but also the desire to counter falsehood. Now that we have a basic definition of doctrines in systematics and we have seen the legitimacy and goals of doctrinal discussions, we should turn to the third aspect of our orientation: The place of doctrines in the entire program of systematic theology. In previous lessons, we have seen that from the medieval period theology was built with four basic steps: the formation of carefully defined technical terms, the creation of propositions, then the formation of doctrines, and finally, a comprehensive system of beliefs. Now we always have to remember that it is somewhat artificial to speak of these concerns as steps in building theology. Systematicians actually involve themselves in all of these steps all of the time. But it helps to think of the process of building systematic theology as moving from the simplest to the most complex. At the lowest level, theological technical terms comprise the most basic building blocks of systematic theology. Without carefully defined terminology, it would be very difficult to construct sound systematic theology. The second step is the formation of propositions. If we think of technical terms as the basic building blocks of systematics, then we may think of propositions as rows of blocks that use and explain technical terms. And we may describe doctrines as rows of propositions that form portions of walls or whole walls. And finally, the system of theology represents the ways theologians build an entire building out of doctrinal statements. So we see that just as walls are essential to a building, doctrines hold an essential place in the construction of systematic theology. Now that we have a general orientation toward doctrines in systematics, we should move to our second major topic: The formation of doctrines. How do systematicians create the doctrinal discussions that are so vital to their project? When students first begin to study systematic theology they often have the false impression that doctrines result from little more than piecing together propositional truths from Scripture. To the novice the entire project often appears to be very simple. But the processes that go into forming doctrines in formal systematic theology are actually quite complex. 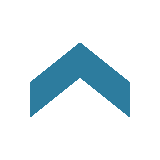 In fact, they involve so many different factors that a thorough analysis is impossible. Yet we can still gain some insights into the ways doctrines are normally formed in systematic theology. To understand the processes that go into forming doctrines in systematics, we'll look into two topics: First we'll see the ways systematicians develop biblical support for their views. And second, we'll explore how systematicians employ logic to explain and support their doctrines. Let's look first at biblical support for doctrines. Now, it is always important to remember that systematicians often build their cases philosophically and historically. Who believed what, and when did they believe these things? Were they right or were they wrong? These kinds of concerns can be very significant at times, especially as systematicians deal with the history of doctrines and try to identify falsehoods that opposed their views. But by and large, the most critical way systematic theologians support their doctrinal discussions is by seeking the support of Scripture. We will examine biblical support in doctrinal discussions in two ways. First, we will describe the basic process systematicians follow as they garner biblical support for their outlooks. And second, we will see an example of this process in systematic theology. Let's consider first the basic process that systematicians follow as they build their case from Scripture. In earlier lessons, we have seen that systematicians begin to handle the Scriptures by subjecting them to factual reduction. They look for the theological facts that biblical passages teach. And as we have also seen they collate these facts into theological propositions. But as systematic theologians move toward forming doctrines, they go beyond these basic processes toward large-scale synthesis and explanation. When we speak of large-scale synthesis and explanation, we have in mind the fact that systematic theologians continue the process of collating different aspects of biblical teachings. They use theological propositions to create larger, more complex theological syntheses. They form layers upon layers of biblical teachings until they have finished their discussion of a theological topic. In effect, doctrinal discussions consist of layers of syntheses and explanations of increasingly larger and more complex theological ideas. With these basic processes in mind, we should look at an example. In the light of Scripture the doctrine of Perfectionism is absolutely untenable. The Bible gives … assurance that there is no one on earth who does not sin. According to the Scripture there is a constant warfare between the flesh and the Spirit in the lives of God's children, and even the best of them are still striving for perfection. Confession of sin and prayer for forgiveness are continually required [in Scripture]. Berkhof's presentation isn't difficult to understand. He argued that perfectionism is against the Scriptures because the Scriptures teach that everyone on earth sins, that all believers struggle with sin, and that everyone must confess and seek forgiveness. Now, while Berkhof's position can be understood in the order in which he presented it on paper, we want to work backwards to see how he garnered biblical support for his presentation. The Bible gives us assurance that there is no one on earth who does not sin. Paul gives a very striking description of this struggle … which certainly refers to him in his regenerate state. [Paul] speaks of … a struggle that characterizes all the children of God. [Paul] speaks of himself, practically at the end of his career, as one who has not yet reached perfection. Jesus taught all His disciples … to pray for the forgiveness of sins. Then he simply quoted 1 John 1:9 implying that it repeated the same theme. Bible saints are constantly represented as confessing their sins. Confession of sin and prayer for forgiveness are continually required in Scripture. So, we see that Berkhof developed three main biblical claims in his discussion of the doctrine of Perfectionism … one in each paragraph … through ever larger and more complex layers of synthesis and explanation. In the first paragraph, he asserted "The Bible gives … assurance that there is no one on earth who does not sin." In the second paragraph, he asserted "According to the Scripture there is a constant warfare between the flesh and the Spirit in the lives of God's children, and even the best of them are still striving for perfection." And in the third paragraph, he asserted "Confession of sin and prayer for forgiveness are continually required [in Scripture]." Now, the writings of systematic theologians are not always as explicit and straightforward as this example may suggest. But what we have seen here is characteristic of the ways systematicians find biblical support for their doctrines. They reduce Scriptures to facts, they collate those facts to develop theological propositions, and they synthesize those propositions into higher and more complex levels of theological claims. This is the basic process followed every time systematicians gather biblical support for their doctrines. Now that we have seen how systematicians find biblical support for their doctrines, we should turn to the ways they find logical support for their views. Although systematicians employ logic at every step in the process of building systematic theology, logic is especially important as they form their doctrines. It will be helpful to touch on three basic aspects of logical support for doctrinal discussions. First, we will look at the authority of logic. How much authority does systematic theology acknowledge for logic? Second, we will see how systematicians establish logical support by drawing out the deductive implications of Scripture … how they logically deduce outlooks from the Bible. And third, we will turn to the levels of certainty that inductive logic offers to doctrinal discussions. How much confidence can we have in the inductive logical explorations that are so vital to establishing doctrines? Let's think first of the authority of logic. In earlier lessons in this series, we saw that as Christian faith moved from its roots in Jewish culture and spread throughout the Mediterranean world, Christian theologians gave much more attention to Hellenistic ways of thinking. In the patristic period, interaction with neo-Platonism heightened interest in logical analysis for Christian theology. But the early Christian fathers typically circumscribed their rational reflection with acknowledgments that the higher truths of Christian faith could be grasped only through mystical enlightenment that went far beyond the limits of logical analysis. During the medieval period, Christian scholastics ascribed much higher authority to reason or logic. As scholastics applied Aristotle's views on logic to theology, theological discussions became largely rational enterprises. Against the protests of Christian mystics, scholastics applied reason to all aspects of Christian faith as much as they possibly could. In many cases, rational analysis became so highly prized in scholasticism that appeals to logic took precedence over appeals to Scripture. Protestant theologians countered this tendency of medieval rationalism with their doctrine of sola Scriptura . Protestants called for the church to commit itself to absolute biblical authority, even biblical authority over human reason. Although there have always been variations among Protestants on this issue, in very general terms, Protestants have believed two truths about logic. On the one hand, Protestants have realized that the capacity to reason logically is a valuable ability. It is a gift from God, and it must be employed with enthusiasm as we build theology. But on the other hand, the capacity to reason logically is still a limited ability that must be exercised in submission to God's revelation in Scripture. One important example of this twofold outlook on logic can be seen in the ways sound systematicians employ the law of non-contradiction. They value the principle of non-contradiction highly, but also realize its limitations. The law of non-contradiction is one of the first principles or laws of logic championed by Aristotle and affirmed in one way or another by the vast majority of Christian theologians. This principle can be stated in many ways, but for our purposes here it may be summarized in this way: "Nothing can be both true and not true at the same time and in the same sense." For example, in every day life we might say that an animal cannot be a dog and not be a dog at the same time and in the same sense. Or in theology, we might say that Jesus cannot be the Savior and not the Savior at the same time and in the same sense. Now, just as sound Protestant theologians have looked at logic in general in two ways, they have also looked at the principle of non-contradiction in two ways. On the one hand, the principle of non-contradiction is highly valued in systematic theology. It is God's gift to us. It gives us the ability to apply careful reasoning to theological matters, making it possible to distinguish truth from falsehood. Yet, through the millennia faithful Protestant theologians have also held another outlook. As with all of our reasoning abilities, the law of non-contradiction is limited as we use it to explore the Scriptures. It must be used in submission to the Bible. The submission of the principle of non-contradiction to Scripture is important because at times, the Scriptures seem to contradict themselves. They seem to claim things that are logically incompatible. What do systematicians do when this is the case? How do they handle apparent contradictions as they seek to synthesize biblical teachings, logically? In general, systematicians respond to such apparent contradictions in the Bible by emphasizing one of two factors: our fallibility and our finitude. On the one hand, the Scriptures often appear to be contradictory because we are fallible. In other words, sin has corrupted our thinking so that we fall into errors. Because we are fallible, we sometimes misread the Bible, imagining contradictions where none actually exist. for you will be like him yourself. or he will be wise in his own eyes (Proverbs 26:4-5). Through the centuries, many skeptics have argued that these verses are contradictory. Verse 4 tells us not to answer the fool according to his folly and verse 5 tells us to answer the fool according to his folly. But the truth is that these two verses do not use the expression "answer a fool according to his folly" in the same sense. Instead, each verse simply tells us when to do one and when to do the other. With a bit of careful reflection, we can see that while passages like this one may look contradictory, they are not. This example illustrates why systematicians work so hard to harmonize the teachings of Scripture. They approach the Scriptures with the expectation that they are logically compatible because they come from God who does not lie. Besides this, systematicians know from experience that when the law of non-contradiction is carefully applied to Scriptures, apparent contradictions often disappear. Now as important as it is to remember that Scriptures sometimes seem contradictory because we have misunderstood them, many times they seem this way because we are finite. They seem logically incompatible because we simply cannot comprehend them fully. Remember, our infinite God is incomprehensible. So, when he reveals himself to finite creatures, his statements sometimes appear contradictory to us. But this is not because God or the Scriptures actually contradict themselves. Rather, it is because we are so finite that we simply cannot understand how they are compatible. So, when careful study of Scripture is unable to discern the logical compatibility of various teachings in the Bible, sound systematicians do not reject the Scriptures. Instead, they assume that the Scriptures are true, and that they simply cannot understand the solution to the apparent contradictions. Let's see how this outlook works on a doctrinal level with two traditional doctrines: the doctrine of divine transcendence and the doctrine of divine immanence. Divine transcendence refers to the biblical teaching that God is above all the limitations of the created universe, including above space and time. Divine immanence refers to the biblical teaching that God is thoroughly involved in space and time, engaged in the details of the created universe. Now, if it were not for the fact that the Bible speaks of both of these truths about God, many of us might be inclined to think that these concepts are contradictory. After all, transcendence is typically thought of as being the opposite of immanence. Not surprisingly, various theologians have attempted to resolve this logical tension in different ways. Some Christian traditions tend to fall into fatalism. They so emphasized the transcendence of God that his immanence is severely minimized. For instance, some Christians talk this way. "Because God is so far above space and time, he does not really respond to prayer." In other words, these Christians believe that God is unresponsive to historical events … that he does not actually react to prayer or to anything else for that matter. Other Christian groups, adhering to forms of Open Theism, have tried to resolve the logical tension between transcendence and immanence by stressing God's immanence to the point that God is no longer considered truly transcendent. Maybe you've heard some of these Christians talk in this way. "Because God responds to prayer, he must be limited in space and time like we are." Now it isn't difficult to understand why Christians would go in these directions. Absolute transcendence and absolute immanence seem to be contradictory. And one way to resolve this tension is to affirm one so strongly that we nearly deny the other. But it is precisely here that we have to remember that the Scriptures are our supreme authority. As much as we may want to think otherwise, there is very strong evidence in Scripture that God is both transcendent and immanent. In relation to prayer, a compelling case can be made from Scripture that God is absolutely above such events. But a compelling case can also be made from Scripture that God listens to and responds to prayer. Despite the logical tension that this creates for our finite minds, we must accept both as true. And if we are unable to reconcile ideas like these, we must attribute this inability to our limitations. So, as we explore how systematicians seek logical support for their doctrinal viewpoints, we must recognize on the one hand that logic is an important valuable ability for systematics. On the other hand, if careful biblical exegesis makes it clear that at certain points the Scriptures are beyond logical analysis, we must still recall that our logic is very limited. The authority of the Bible always trumps the authority of logic. As important as it is to remember the limited authority of logic in systematics, it is also vital to see that logic enables systematicians to deduce many implications from biblical passages. When systematicians handle Scripture they are not merely interested in making a list of the explicit teachings of the Bible. They are just as interested in drawing out its implicit teachings. The Bible explicitly and plainly addresses many issues. But at the same time, it does not explicitly address every facet of every teaching. Consequently, as systematicians handle Scripture they often face the need to fill in the gaps between the explicit teachings of Scripture. And they also face the need to deduce the assumptions underlying the explicit teachings of Scripture. One of the most important values of logic in systematic theology is the ability it gives us to discern the implicit teachings of Scripture through deductive logic. Deduction is a way of reasoning from premises to necessary conclusions. We speak of the conclusions of deductive reasoning as "necessary" because they are unquestionably true so long as their premises are true. We simply take the implicit ideas contained in the premises of an argument, and make them explicit in the conclusion. In the case of systematic theology, once systematicians have settled judgments that the Scriptures teach this or that premise, they can deduce many necessary implications from the Scriptures. Take this simple example … we discover in Scripture this premise: "If a person believes in Christ, then that person will be saved." Then we discover in Scripture this premise: "John the Baptist believed in Christ." If both of these premises are true, then it is logically necessary to conclude that "John the Baptist will be saved." To deduce this conclusion is not to add a thing to the teaching of Scripture. It is simply to state clearly what is already implied. Consider this second example … suppose systematicians establish that the Scriptures teach this proposition: "If Christ is resurrected, then he is Lord." In other words, the Scriptures teach that the resurrection of Christ would be sufficient proof that he is Lord. This proposition could be established by sound exegesis of a number of biblical passages. Second, suppose systematicians see in Scripture that: "Christ is resurrected." This proposition could also be established by referring to any number of passages. But with these two propositions established, systematic theologians can move to a conclusion: "Therefore, Christ is Lord." Premise One: If Christ is resurrected, then he is Lord. Premise two: Christ is resurrected. Conclusion: "Therefore, Christ is Lord." The conclusion of this syllogism is logically certain. So long as the premises of deductive arguments are certain, then the conclusion is certain. And then they could conclude on the basis of this verse, that "Faith in Christ is the only way of salvation." In most cases, a systematician would be right to assume that this summation of the argument is more than adequate. But we must realize that the argument is actually more complex, and that sometimes these complexities need to be expressed. In real systematic theologies, theologians present only those premises they believe offer the most helpful and most compelling support for their beliefs. Sometimes deduction is abbreviated because so much is assumed, but other times the deductions are spelled out in much more detail. In all events, deducing the logical implications of biblical teachings is one of the chief ways systematicians build theological doctrines. As they synthesize layers and layers of biblical information, a major part of that process is deducing implications of what they have found in the Scriptures. As we have seen, systematic theologians apply deductive logic when they form doctrines. And when their premises are true, their deductive conclusions are absolutely certain. But to one degree or another, systematicians also apply inductive logic. And the question that we face at this point is this: What kinds of logical certainty does inductive logic bring to systematic theology? Inductive logic is a way of reasoning from particular facts to probable conclusions. In the case of systematic theology, the primary facts that come into focus are the facts of Scripture — how the Scriptures teach this or that. And from these particular biblical facts, systematicians infer probable conclusions. To explore how induction works in systematic theology, we will touch on three issues: first, types of induction; second, the inductive gap; and third, the implications of induction for systematic theology. Let's look first at the types of induction. In many respects, induction proceeds in two ways we have seen before. On the one side, we may speak of repetitive induction, those times when we draw conclusions from particular facts that repeat the same truth over and over. And on the other hand, we may speak of compositional induction, those times when we draw conclusions from particular facts that come together to form compound truths. Think about this example of repetitive induction from outside the Bible. Imagine that I see one goose and it is white, then I see another goose and it is white, another goose and it is white, and another goose and it is white. After having this experience a million times, I would normally feel satisfied with concluding, "All geese are white." Now think of this example of compositional induction, those times when we reason from particular facts to a compound conclusion. We do this all the time in everyday life. Imagine that I walk up to my house and notice the door is ajar. Then I look in and I see furniture has been moved. I look further into the house and I see a stranger carrying my television out the back door. What might I conclude? In all likelihood I would piece together all this information and feel very confident that "I am being robbed." This is a form of compositional induction, bringing all kinds of information together into one compound conclusion. As systematic theologians deal with Scriptures, they perform both kinds of induction. On the one side, they deal with repetitive induction, where they find the same themes repeated again and again in the Bible to the point that they conclude that something is always true. On the other side, they form compositional induction, where they find this fact and that fact in the Bible that forms compound conclusions. Both forms of induction are essential to the processes of systematic theology. With these two processes of induction in mind, let's turn to the inductive gap as a second important aspect of inductive logic. It's important to realize that in inductive arguments, conclusions often add information that is not contained in the premises. They often go beyond the premises. As a result, there is some distance between what we observe and what we conclude.  Logicians often use the phrase "the inductive gap" to refer to this distance between what we know and what we conclude in an inductive argument. Think about the examples we have just mentioned. First, the example of repetitive induction. If we observe one goose and say "This goose is white." And then we see another and say, "It is white." And we do this a million times; we might feel safe in concluding that all geese are white. But there is a big difference between knowing that one million geese are white and claiming that all geese are white. The conclusion that all geese are white may be very probable, but it is not utterly certain. There is an inductive gap between our observations and our conclusion. So, what allows us to draw the conclusion that all geese are white when we know it is beyond what we have observed? In a word, we draw upon other things we know. We draw from many other experiences and what we might call common sense … what makes sense from our general world view. We say to ourselves, "Looking at a million geese is enough to prove my point." The same kind of thing is true of compositional induction. Remember how I concluded that my house was being robbed? I saw the open door, moved furniture, and a man carrying my television away. These observations led me to a reasonable or probable conclusion that I was being robbed. But this conclusion was not utterly sure. It was only probable. After all, the man might have been a television repairman. He might have been in the wrong house. Any number of other factors may have shown that my conclusion was wrong. Once again, we face the inductive gap. What then made me able to conclude that I was being robbed? What enabled me to bridge the inductive gap? I just assumed from past experience and general cultural influences that no one would be in my house doing those things unless he was robbing me. Remembering the inductive gap is important because as systematic theologians build their doctrines, they have to face the limits of the inductive gap. As they cull through the Scriptures and the theological propositions they have derived from Scripture, systematicians are deeply involved in inductive logic. And as we have seen, this means that their conclusions are not utterly certain. They may be very likely, or even settled judgments but not utterly certain in every detail because they are based on induction. To one degree or another, systematicians always face the inductive gap. Bible saints are constantly represented as confessing their sins [in Scripture]. Now, as much as we may believe this conclusion to be true — and I think that other considerations show that it is very likely — Berkhof's conclusion faces the problem of the inductive gap. Berkhof overstated the evidence he set forth when he concluded that saints are constantly represented as confessing their sins. He showed only nine times that this happened. Nine examples cannot prove that the Bible constantly represents saints as confessing their sins. All it would take to disprove this claim is one example of a biblical believer who did not struggle in this way. The only absolutely certain conclusion to draw, assuming that Berkhof had rightly interpreted each passage is this: "The Bible saints are sometimes represented as confessing their sins [in Scripture]." Why then did Berkhof feel comfortable drawing the conclusion that "saints are constantly represented as confessing"? How did he bridge the inductive gap from his scant evidence to his grand conclusion? The answer is simple: he bridged the inductive gap as we do in ordinary life with information from his broader Christian outlook. He was satisfied with his conclusion because it coordinated with so many other things he believed and things he assumed his readers would believe. But we should all recognize that his conclusion went far beyond the evidence he presented. Now we are ready to turn to a third issue related to inductive certainty. What are the implications of the inductive processes that are so essential to doctrines in systematic theology? There are at least two things to learn from what we have seen: first, we need to narrow the inductive gap and second, we need to remember the inductive gap. In the first place, it is the responsibility of every believer to work as hard as possible to narrow the inductive gap so that we can have as much certainty as possible in our conclusions. As we work our way through theological discussions in systematic theology, it is often the case that we need to make as strong a case as possible for a point of view. To do this, we need to narrow the distance between our evidence and our conclusions. One way to do this is to collect more biblical evidence that points to the same conclusion. The more evidence there is, the more likely it is that our conclusion is true. For instance, Berkhof's conclusion that "Bible saints are constantly represented as confessing their sins [in Scripture]" reflects a large gap because he only cited nine examples. But had he cited one hundred examples, his conclusion would have been much stronger. Had he taken the time to give 1000 examples, his conclusion would have been even more certain, even though it may have bordered on overkill. Now, finding this many examples may not have been practical but it would have made his conclusion much more logically certain and compelling. As we involve ourselves with inductive logic in doctrinal discussions, it is always important to ask of ourselves and of others: Have enough evidences been brought forward to prove the likelihood of a point of view? Often, we will find that there is a need for more inductive evidence to narrow the inductive gap. A second practical implication of what we have seen is this: we must always remember that we cannot utterly escape the inductive gap. As a result, it is often wise simply to acknowledge that certain theological conclusions are less likely or more likely than others. As we've seen in other lessons, it is helpful to think of doctrinal conclusions in terms of a cone of certainty. There are a few beliefs that we hold with great confidence, and these rise to the top of the cone. We have a lesser degree of certainty regarding other beliefs, and so we place these lower in the cone. And finally, there are many beliefs we hold with little certainty, and these occupy the bottom of the cone. As we think about the certainty of our inductive conclusions, it helps to consider them in accordance with this model. Specifically, we can be more confident of some beliefs because the inductive evidence is strong and the inductive gap is relatively small. So, these beliefs rise to the top of the cone. These doctrines become settled judgments in our system of belief. But the inductive evidence for other beliefs is not so strong, so that the inductive gap is much more significant, leaving us with less logical certainty about them. As a result, it is very helpful to realize that doctrinal discussions in systematic theology often come down to which view is more likely to be the biblical point of view, which is more comprehensive in its representation of the Bible. For instance, in eschatology we may be very confident from the teachings of Scripture that Jesus will return in glory. The inductive evidence for this belief is so strong that it should not be doubted. It should be at the top of our cone of certainty. But the evidence is much weaker for particular scenarios that Christians have developed as they discuss when and how Jesus will return. So, these conclusions should be much lower in our cone of certainty. We can and should affirm Christ's return with great confidence. But we go far beyond the evidence of induction when we are too dogmatic about many of the specifics of his return. There is nothing wrong with admitting to ourselves and to others that we do not have absolutely conclusive evidence for everything we believe. Often, the challenge we should put forth to ourselves and others should not be, "This is the only way this doctrine can be understood." Instead, it is often better to say, "This understanding of the doctrine is more likely than others." Then we can fruitfully engage fellow believers by examining the evidence for particular points of view. To sum up, logic is very important in doctrinal discussions that take place in systematic theology. We should employ logic in submission to Scripture as we synthesize biblical teachings. As we discuss theological doctrines, we should also be ready to deduce the implications of Scriptures for various issues we are addressing. But in the end, the inductive basis of theological doctrines should remind us that no human formulation of a doctrine is utterly final. There are always ways to improve what we believe. Now that we have a general orientation toward doctrines in systematics and how doctrines are formed, we should take a look at our third topic, the values and dangers of doctrines in systematics. As we explore the values and dangers of theological doctrines, we will follow the pattern we've seen in previous lessons by looking at the effects of doctrines on the three major resources for building Christian theology. You will recall that Christians are to build theology out of God's special and general revelation. We gain understanding of special revelation primarily through the exegesis of Scripture, and we avail ourselves of important dimensions of general revelation by focusing on interaction in community — learning from others, especially other Christians — and by focusing on Christian living — our personal experiences of living for Christ. Because these resources are so critical, we will explore the values and dangers of doctrinal discussions in systematics in terms of each of them. We will look first at doctrines and Christian living; second, we will explore doctrines in relation to interaction in community; and third, we will examine them in connection with the exegesis of Scripture. Let's look first at the theological resource of Christian living. As we have seen, Christian living amounts to the process of personal sanctification, and it takes place on conceptual, behavioral and emotional levels. Or as we have put it: on the levels of orthodoxy, orthopraxis and orthopathos. Time will not allow us to explore all the ways doctrines affect sanctification. So, we will limit ourselves to one major way they can enhance and one major way they can hinder Christian living. Let's look first at one way doctrinal discussions can enhance our attempts to live for Christ. One of the greatest advantages of traditional theological doctrines is that they help us to think logically about our faith on a large-scale. As we have seen, doctrines are built by logically synthesizing and explaining many biblical passages together. Unfortunately, many Christians do not know how to think logically about what they believe. In fact, at times well-meaning Christians actually reject the notion that they should think through the logical connections among the many things they believe. Instead, they prefer to rest their decisions on just one or two biblical considerations. I remember once having a conversation with a young man who was convinced that he should not pay taxes to his government. He referred to 1 Corinthians 10:31 and said, "I'm supposed to do everything for the glory of God. And I don't think paying taxes is glorifying to God." Of course, I had to agree with at least part of what he said. It is true that we are to do everything for God's glory. But the implication he drew was based on too little biblical information; it was not guided by a host of other relevant biblical teachings. What was wrong with this young man's argument? He had forgotten a basic principle about the Scriptures that we always need to remember. I often put it like this: "You can't say everything all at once. Even God can't when he is talking to us." We know this is true in everyday life. We can never say every imaginable thing that we might need to say about a subject. Time will not allow it. We are limited to picking just a few things to say. And we expect people around us to remember other things that will help them understand the few things that we might be able to say to them at any given moment. Well, the same kind of thing is true even for God when he speaks to us in Scripture. And this is not because God is incapable of communicating vast amounts of information clearly and immediately. Rather, it is because we, as finite creatures, are incapable of understanding vast amounts of information immediately and comprehensively. Because God accommodates Scripture to our finitude, no single biblical passage can say everything that might be said about a topic. So, to get a fuller picture of what we are to believe about a topic, we must not rely on just one or two biblical passages. They simply cannot say everything about a subject that we might need to know. Instead, we need to draw logical connections among a wide range of biblical passages. Give to Caesar what is Caesar's, and to God what is God's (Matthew 22:21). And of course, Paul said in Romans 13:6-7 that we should pay taxes to our governments because they are ordained by God. Now, to draw these theological propositions together requires a lot of careful logical reasoning. But it is our responsibility to think through these passages to form a logically coherent doctrine. And when we do so, we see that we should give governments their due. The ability to synthesize many biblical teachings of Scripture into logically coherent doctrines is a vital skill for every Christian to have. When we are able to make large-scale syntheses of biblical teachings by using inductive and deductive logic appropriately, we can greatly enhance our Christian living. Now, as positive as it can be to learn how to formulate what we believe in a logical manner, we also have to be aware that focusing on logical reasoning in theology has pitfalls that can actually hinder our Christian living. Often Christians who see the value of logically coherent theological doctrines fall into the trap of thinking that all they have to do is to be reasonable or logical as they work through various doctrines. They ignore other aspects of Christian living, reducing the theological process to mere rational, logical reflection. But when we think this way, we cut ourselves off from some of the most vital influences on our theological reflections. Earlier in this lesson we saw that doctrines are built on inductive logic that leaves an inductive gap between the evidence and the conclusions we draw. We also noticed that this inductive gap can be bridged by many things that come from our general knowledge and convictions, including some important factors that are not matters of logical reflection. Because this is true, we must always be careful not to allow rigorous logical analysis to crowd out other godly influences. We should be motivated to read the Scriptures devotionally, with sensitivity to the leading of the Spirit. We should be motivated to interact with other Christians finding strength of conviction from their fellowship. We should be motivated to walk with Christ, finding guidance in providence and even in our consciences. Only as we are sanctified in these ways can we have confidence that we are filling in the inductive gap in ways that are pleasing to God. Reducing the process of drawing theological conclusions to mere logical rigor will cut us off from many of the vital resources that God has provided in the full range of Christian living. In addition to understanding how doctrines can bring advantages and disadvantages to Christian living, we should also be aware of how they influence our interaction in community. We will mention just a couple of ways doctrines can enhance and hinder these elements of community interaction. Let's look first at one important way doctrinal discussions can enhance interaction in community. Perhaps the most positive impact of theological doctrines on Christian living is the way that they can bring unity and harmony to the church. If there is one way to enhance our ability to interact with each other, it is to become more capable of reasoning together through the many teachings of Scripture. I have a friend who formed a team of volunteers who spent their weekends building homes for the poor. It was a great ministry and he blessed many people through his efforts. I once asked him, "What's the biggest problem you face in your projects." He replied quickly, "New people; that's our biggest problem. We have to stop everything we are doing to explain the basics to them. New people can keep the whole team from being able to finish the job." Well, in many ways my friend's experience reminds me of theological interaction within the Christian community. As wonderful as it is to have new people coming to Christ, we have a building project to do. It is ever so important for us to train fellow believers in the doctrines of the Christian faith, so that we don't have to keep stopping here and there to go back to this basic teaching and that basic teaching. Though by this time you ought to be teachers, you need someone to teach you the elementary truths of God's word all over again. You need milk, not solid food (Hebrews 5:12). Knowledge of doctrines is not the only thing we need in order to grow together in Christ, but when we share common doctrinal beliefs, we can build the kingdom of God more effectively. At the same time, while understanding sound doctrines can enhance interaction, focusing on doctrines too much can actually hinder interaction among Christians. Consider the fact that different branches of the church tend to find their community focus in different things. Some branches of the church focus on traditional corporate worship as a source of community. This is especially true of liturgical churches. Others look to dramatic personal religious experience to find commonality with each other. These churches often focus on converting the lost or on extraordinary gifts of the Spirit. Still other branches of the church look to doctrine to find community. They see their unity primarily in terms of the theological stances they take. Now each of these tendencies has its strengths. But each also has its weaknesses. In fact, churches could avoid many problems if they would just pay more attention to the things that other churches consider most important. Those who center on corporate worship often need to give more attention to doctrine and personal religious experience. Those who tend to center on religious experience usually could use a good dose of doctrinal and corporate worship emphasis. And of course, those who find their unity in doctrine often need to spend more time looking in the direction of worship and personal religious experience. It is this last group that often runs into the problem of overemphasizing theological doctrines to the point that they actually become a hindrance to community interaction. We've all heard of Christians who are dogmatic, doctrinaire, arrogant, and prideful in their doctrinal purity. They are so proud that they do not value anything except doctrinal purity. I think we need to remember something about the body of Christ. God has given each of us different natural gifts and different gifts of the Holy Spirit. These gifts tend to make some of us more inclined toward the logical rigors of systematic theology. And they tend to make others of us less interested in doctrinal matters. It is not necessarily wrong or sinful for one person to pursue a good thing like doctrines less vigorously than someone else pursues them. We need to understand that our level of zeal for doctrine is often a matter of gifting and calling. And beyond this, we need to remember that every Christian needs every other Christian. Those who are more inclined toward doctrinal concerns need those who are not inclined in this way and vice versa. We balance each other out; helping each other to live for Christ in ways we cannot on our own. But this kind of community interaction and interdependence is often hindered when we overemphasize the rigors of doctrinal purity. Having seen some of the ways doctrines relate to Christian living and interaction in community, we should turn to the third major theological resource: the exegesis of Scripture. How do doctrinal discussions in systematics affect our interpretation of the Bible? Exegesis is vital to building Christian theology because it is our most direct access to God's special revelation in Scripture. We have suggested in another lesson that it is helpful to think of three main ways the Holy Spirit has led the church to interpret the Scriptures. We have dubbed these broad categories: literary analysis, historical analysis and thematic analysis. Literary analysis looks at the Scriptures as a picture, as artistic presentations designed by human authors to influence their original audiences through their distinctive literary features. Historical analysis looks at the Scriptures as a window to history, a way of seeing and learning from the ancient historical events that the Scriptures report. And thematic analysis treats the Scriptures as a mirror, a way of reflecting on questions and topics that are of interest to us. With these contours of exegesis in mind, we should explore the ways doctrines can enhance and hinder our interpretation of the Bible. Let's look first at one of the ways doctrinal discussions can help us interpret the Bible. I am often amazed at how many Christians believe that most of the basic doctrines of Christianity are taught explicitly in the Bible. The truth is, many of the most basic tenets of our faith are not directly or specifically addressed in the Bible. I once heard a well-known pastor tell his congregation, "We should believe only what the Bible teaches plainly and openly, not the implications we might think it has." In my experience, it is common for Christians to claim that we should place much more priority on the explicit teachings of the Bible than its implicit teachings. But there is a principle of communication that we all need to remember: Often, the most foundational things that people believe are never stated explicitly. Instead, they are assumed. In other words, whenever we have a conversation with someone, or whenever we write a letter, or a book, we usually do not explicitly state our most basic, shared convictions. Think about this principle for a moment. I have not once said throughout this entire series that I believe in the existence of God. Why not? It is because this belief is so foundational to our lessons that we all assume that I believe in God. I have not argued that the Bible is the word of God in this lesson. Why not? Because it is assumed among us. These and many other truths; they form an implicit foundation for what I have said explicitly. In many ways the same is true of Scriptures. The writers of Scripture do not explicitly focus on the most systemic things they are communicating. Those truths underlie what they say explicitly. And one of the goals of systematic theology is to discover the doctrinal assumptions that gave rise to what we find in the Scriptures. For example, nowhere in Scripture do we find an explicit teaching on the Trinity or on how the two natures of Christ relate to each other in his one person. Both of these doctrines are hallmarks of historical Christianity. These and a host of other very important teachings of Christianity are based in large part on the logical implications of teachings that are scattered throughout the Bible. When systematicians develop doctrines like the Trinity or the natures of Christ, they are not adding to the Bible, rather they are seeking to make explicit what already lies beneath the surface of the Bible. For this reason, our exegesis of Scripture can be greatly enhanced by the wisdom that the church has developed through the centuries as it has used rigorous logical reflection to discern the implications of Scripture. Much of what the Scriptures teach, they never say explicitly. And systematic theology is one of the most helpful tools for uncovering these implicit teachings. As valuable as doctrines in systematics may be for exegesis, we must also become aware of one of the most significant ways they can actually hinder our interpretation of Scripture. In a word, one of the greatest dangers of doctrines in systematic theology is speculation. As we have noted many times, modern systematic theology owes a great debt to medieval scholasticism. But one of the chief characteristics of medieval scholasticism was the assumption that logical analysis can take the church to truths that go far beyond the teachings of Scripture. Many of us have heard one of the speculative questions that preoccupied medieval theologians: "How many angels can dance on the head of a pin?" Now because Protestant systematics is so greatly indebted to scholastic theology, it too sometimes strays into speculation. It also explores ideas and reaches conclusions for which there is very little or no biblical support simply because these conclusions seem logical. For instance, you might be surprised to know that in traditional Protestant systematic theology great debates have raged over the very speculative matter called "the lapsarian question." Perhaps you've heard the terms supralapsarianism, infralapsarianism, and sublapsarianism or several other variations. Heated debates have occurred between advocates of these positions. And the entire debate amounts to this question: "In what logical order should we conceive of God's eternal decrees?" That's right. The logical order of the eternal decrees of God — his eternal plan for the universe. Now I hope that everyone realizes that the Bible does not even come close to addressing this issue. It is one of those great mysteries about which the Bible gives us next to no information. But an overly enthusiastic endorsement of logical analysis in doctrinal discussions can lead to this and many other speculations. The secret things belong to the Lord our God, but the things revealed belong to us and to our children forever that we may follow all the words of this law (Deuteronomy 29:29). There are secret things, mysteries that have not been revealed to us. So, careful logical reflection often leads us to speculation. As we interpret the Scriptures in the process of doctrinal discussions we must always remind ourselves not to stray too far from what the Scriptures actually teach. We must constantly ask ourselves at each step what evidence from the Bible supports this doctrine. Regularly substituting logical speculation for scriptural support will undoubtedly hinder our exegesis of Scripture. In this lesson we have explored doctrines in systematic theology. We have seen what they are and how they fit into systematic theology. We've also explored how doctrines are formed and we've looked at a number of the values and dangers they present. All Christians have doctrines they believe. Whether they have been written down or simply taught by word of mouth. But learning how systematic theologians have formed Christian doctrines through the centuries is one of the best ways for us to evaluate what we already believe and to further our understanding of God's word as we serve him and as we serve His people.